This year SPAR and Get It searched all of Joburg for The Face of the Race for the 2018 SPAR Women’s Challenge Joburg. Our ideal Face of the Race would be fit, fab and ready for fun on Race Day! She would also support the race by driving running shoe donations for our Drop Off A Pair And Show You Care initiative with Caxton. Our winner would also be treated with a feature in her local Get It magazine as well as VIP treatment on Race Day. We were so overwhelmed by entries (see them all here) that we chose a winner and three runners up to represent the North, South, East and West of Joburg! 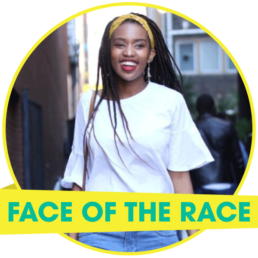 We are proud to introduce you to the SPAR Women’s Challenge Joburg Face of the Race 2018 Thulethu Lilani Ngqokwe! Thulethu is a 26-year-old fitness fanatic from Edenburg, Rivonia. She will be representing the SPAR Women’s Challenge Joburg along with three runners up. 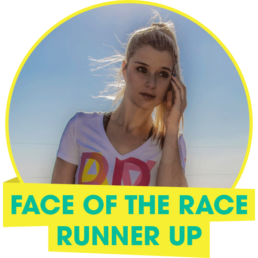 We are proud to introduce you to one of the runners up of the SPAR Women’s Challenge Joburg Face of the Race 2018 Monique Naude! Monique is a 26-year-old Germiston local with a passion for healthy living. 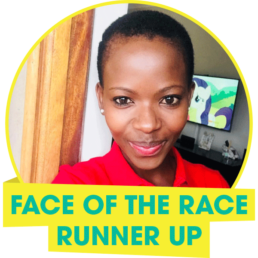 She will be representing the SPAR Women’s Challenge Joburg along with our Face of the Race winner Thulethu and two other runners up. We are proud to introduce you to one of the runners up of the SPAR Women’s Challenge Joburg Face of the Race 2018 Zondelela Ramashala! Zondelela is a 32-year-old mom with a busy, active lifestyle in Meyersdal. She will be representing the SPAR Women’s Challenge along with our Face of the Race winner Thulethu and two other runners up. 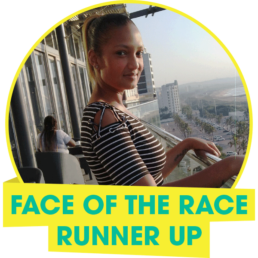 We are proud to introduce you to one of the runners up of the SPAR Women’s Challenge Joburg Face of the Race 2018 Adielah Johnson! Adielah is 31 years old and an avid race runner from Florida, her goal is to participate in the Comrades Marathon in two years’ time! She will be representing the SPAR Women’s Challenge along with our Face of the Race winner Thulethu and two other runners up. Follow us on Facebook and Instagram to see how these ladies represent the race. Don’t forget to support your suburb by bringing a pair of running shoes to donate on Race Day. Learn more about the Drop Off A Pair And Show You Care initiative here. Information on this page courtesy of Caxton. See original article here.